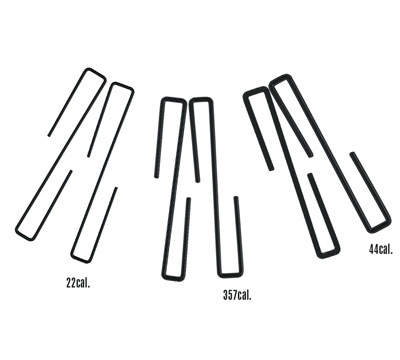 This 6 pack of handgun hangers for pistols and/or revolvers include 2 each of the following calibers; .22, .357, and .440. 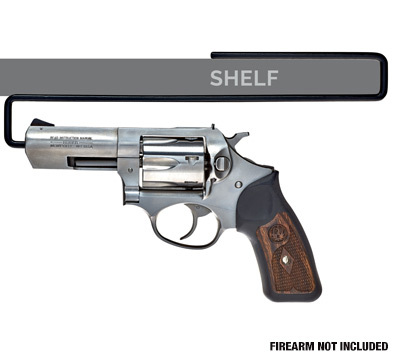 Handguns can be organized below any shelf ½" to 1" thick. The PVC coating does not scratch or damage handguns. Dimensions - 10" Long x 2.25" Wide. Made by SnapSafe®. LIMITED TO STOCK ON HAND. NO BACKORDERS.